Maggie Redden is a Communications Specialist at National Disability Institute (NDI). 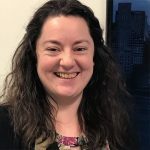 Before joining NDI, Maggie worked as a Legal Assistant/Central Scheduler for the Social Security Administration in the Jersey City, NJ Office of Disability Adjudication and Review. She also has experience as a Transition Coordinator and Outreach Assistant for Heightened Independence and Progress, a Center for Independent Living, and as an Outreach Coordinator for New Jersey Paralympic Sport Clubs. Through wheelchair sports, Maggie has traveled the world since she was five years old. Most notably, she was a member of the U.S. Track and Field Team at the 2007 Rio ParaPan American Games and at the 2008 Beijing Paralympics. Born in India but adopted at age two, Maggie spent a year abroad in Kolkata at Shishur Sevay, a home for orphaned girls, some with severe disabilities. She got to experience firsthand what life could have been like for her and returned to the U.S. with an even greater desire to focus her career on serving individuals with disabilities. 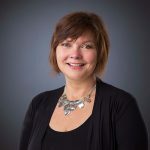 Maggie received her undergraduate degree in Communications from Penn State University and her graduate degree in Public Administration from Saint Peter’s University. She was Ms. Wheelchair New Jersey in 2013. In her free time, she likes to stay physically fit, peruse Pinterest for new DIY crafts, and explore new places.